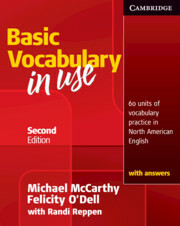 Advanced vocabulary tests with answers to accompany the popular English Vocabulary in Use Advanced Second Edition reference and practice book. 100 easy-to-use vocabulary tests for advanced learners of English. 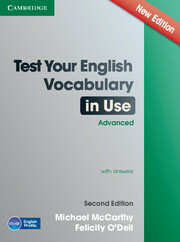 Test Your English Vocabulary in Use Advanced Second Edition book with answers can be used on its own or along with the English Vocabulary in Use Advanced Second Edition reference and practice book. It offers a wide variety of enjoyable test types and a clear marking system on each page so progress can be easily checked. Ideal as a revision aid and to help advanced learners build their confidence in using new vocabulary.